How Are Influencers Taking Over Digital Marketing? When you are logged into your Instagram account and you are looking through your feed at all the images and videos people have posted, you may see advertisements from time to time. There are random ads placed between posts of your friends and all the people you are currently following. This is what digital marketing looks like. You may not want to see those advertisements, but they are there because a company paid for them with the hopes of getting as much attention via the social media platform as they possibly could. While you may not have an interest in the advertisements you are seeing, what would you think about seeing the same products advertised by someone you like, such as a social media influencer who is known for their style and uniqueness? Do you think you would stop to find out more information on the product because you trust what that person has to say, and you want to use something that he or she uses as well? Studies on the impact of social media influencers prove that most people pay attention to advertisements when their favorite influencers are in them. Marketers can increase the number of sales they are making by simply working with influencers to get them to talk about certain products and even take pictures with those products. Social media influencers are a lot like the popular kids in school – they have the looks, the personality, and so much more. Because they radiate beauty, positivity, and hopefulness, people want to see what they are doing, so they choose to pay attention to them. The influencer is just a regular person but he or she can influence others and their buying decisions, encouraging random people to buy products they may not have thought about buying beforehand. When you like someone and trust in their word, you are more willing to try a product that they claim to enjoy using. 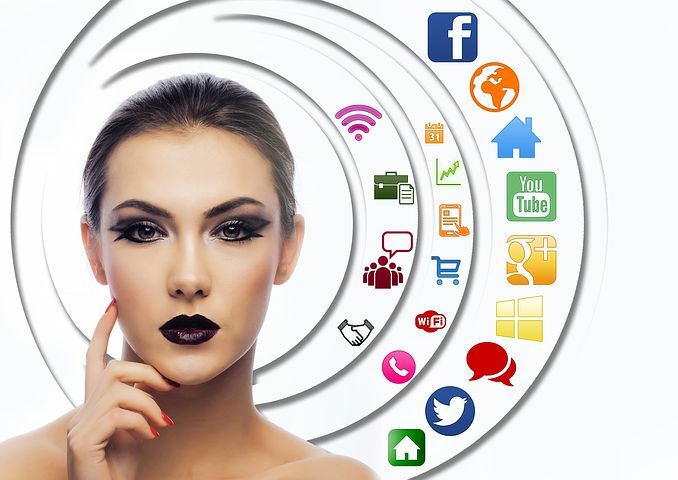 It is easy to find advertisements on various social media sites, but up to 50 percent of buying decisions are made via word-of-mouth marketing, a type of marketing technique that often comes from social media influencers who post pictures with products and talk about how much they love them and can benefit from using them. You can easily find these individuals promoting makeup, hair care products, fitness programs, clothing, and all kinds of other items. The reason it works so well is because it is a lot like getting a recommendation from a friend you know and trust. If you want an influencer to promote your product, you can expect to pay a bit more than most marketers were paying just a year or two ago. The cost of influencer promotion is rising because of the impact it has on followers, but it is surely worth the investment. And, you should know that different influencers charge different rates. People like Kylie Jenner are naturally going to charge more because they have such a massive following, along with tons of endorsements and deals. While you may need to spend some money to get influencers to promote your products, all you need to do is think about all the different benefits you will get to enjoy from choosing this type of marketing for your business. Many business owners like to go through social media sites and view accounts of different people with large followings while searching for the right people to promote their products. Some influencers have thousands of followers while some have millions of followers. It is not just about the number of followers but also about the engagement rates between the influencer and his or her followers. If you are going to have an influencer promoting your products, you will need to give the individual some opportunities to post in a way that he or she is comfortable with. The individual may choose to take certain types of pictures or write out a post that provides details on how the products you provide are beneficial in some way. Even though you are giving the influencer the opportunity to have things his or her way, it will still work out for you in the long run because those who follow this individual will like the content and possibly share it with others. When your brand is mentioned in a post and that post is getting shared quite frequently, your Google rankings may quickly start to improve. The influencer has a chance to stay as creative as possible while promoting the products you sell, and you get to improve your rankings while gaining a lot of new customers throughout the process. You can even continue keeping track of the number of sales you are making with help from the influencer by having that influencer provide his or her followers with a special code to use to get a discount on products. When you are trying to make some changes to your brand and you want to reach out to a new audience, an influencer is one who can bring life to your brand. Figure out what kind of story you want to portray and then select influencers who fit well with that story. It is good to choose the right people who can create a hype surrounding the products you can offer.